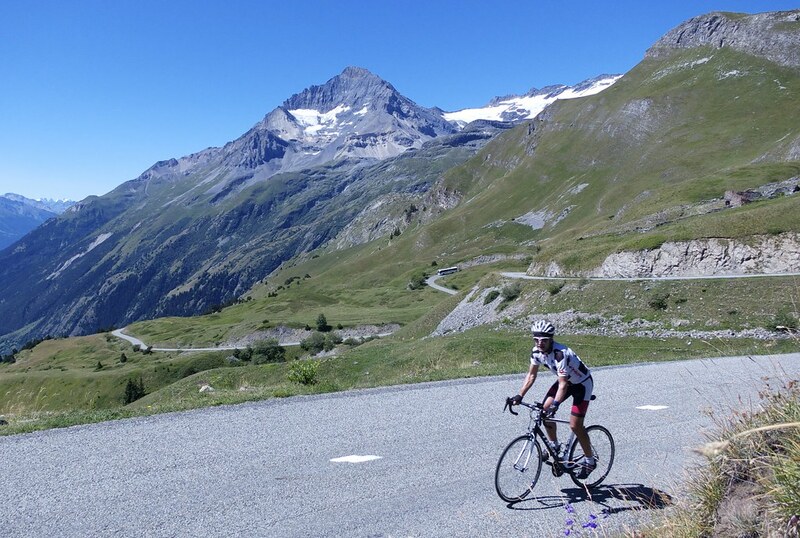 The route starts from Termignon – not too far from Lanslebourg and the start of the south side of Col de l’Iseran – the highest paved mountain pass in Europe. From the Termignon tourist office, follow the main road up and west, and at the very first hairpin just stay straight (signs say Plan du Lac and Parking du Bellecombe). It’s steep from the start with the first few kilometres following regular hairpins up through a sparse forest. The best views here are down to the valley below as the road quickly rises. At 1700 metres or so, as I slowly started to get above the tree-line, the climb becomes truly beautiful. Surrounded by huge mountains, a couple with glaciers atop, wide open hairpins twist in every direction. Fantastic! At approximately 13 kilometres is a the huge Bellecombe parking lot – lots of hikers. From here, the road is closed to cars – but not bikes, woohooo. 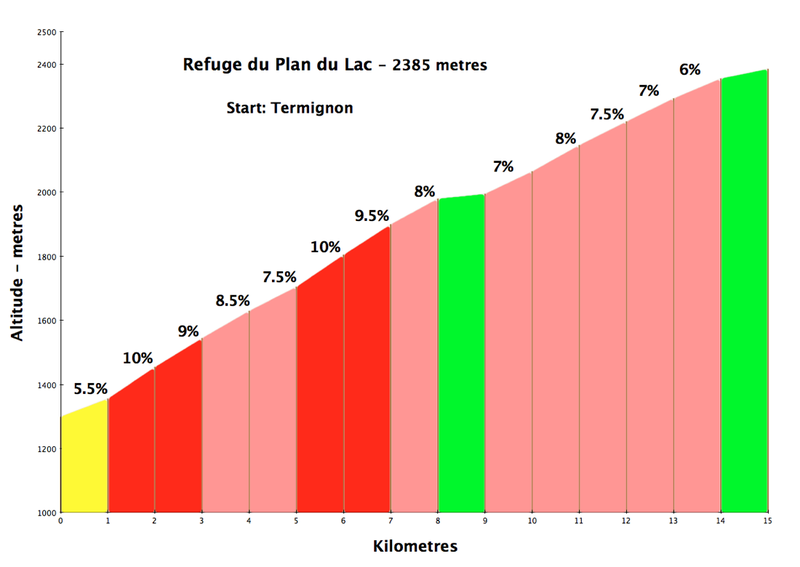 Just continue up to the lake and the refuge/restaurant a few hundred metres further. It’s possible to descend and go several kilometres further on a mediocre but paved surface until a small barrage/dam – see my map. With a mountain bike, there are some more trails to follow, but I don’t think anything goes particularly high. 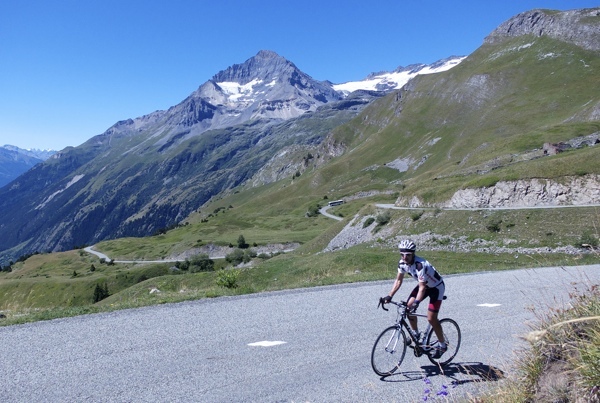 Plan du Lac is a lessor known gem that should be a top priority for anyone cycling nearby Col de l’Iseran. Yet another spectacular and high climb in the Maurienne. But one that you might not have heard of. Don’t tell too many people, she’s a beauty all right. 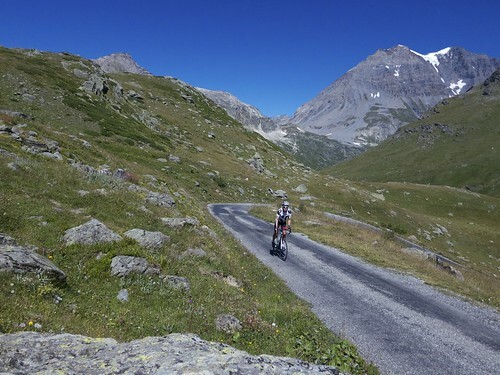 Will, I came across your cycling blog whilst looking at images of Termignon, where I’m going the day after tomorrow. I like your attitude to cycling, it’s similar to mine, travel slowly, you get to see the view! I wish you luck in your ambition to cycle 50 great rides, slowly!